I recently celebrated my Birthday, and ended the note with my trip to Sydney. What a birthday! I thought I would share with you a couple of the lovely cards I received from fellow Demonstrators and friends , Diane Taylor and Bron Heslop. 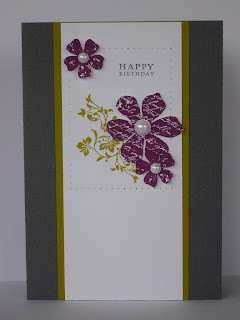 This gorgeous card was made for me by Diane Taylor using the Vintage Vogue Clear Mount stamp set. She just had to throw my favourite colour "Kiwi Kiss" in the mix too! Thanks Diane! 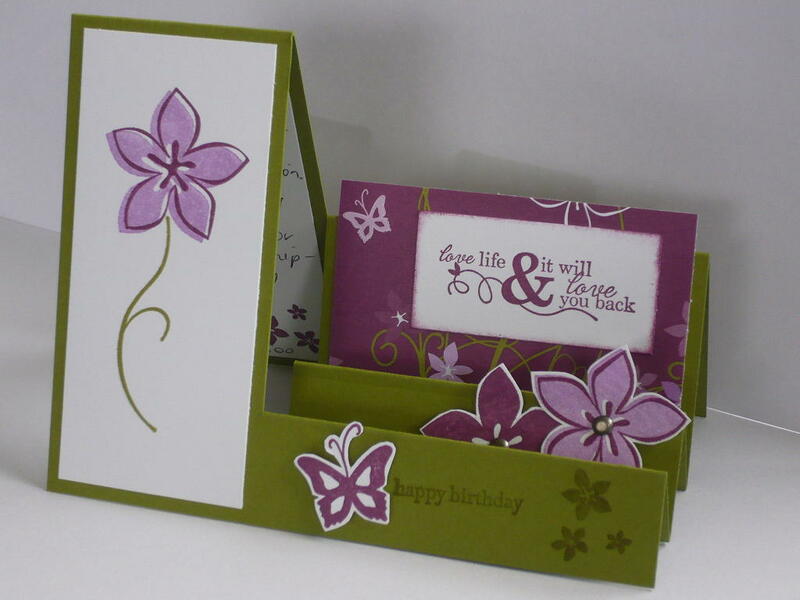 This fancy folds card is called a "Side Step" card and was made by Bron Heslop. Bron has used Old Olive colouring, teamed with the Cottage Wall designer series papers. Thank you so much girls, for your Birthday wishes and the gorgeous cards made especially for me. Love you both - Mwah! These are gorgeous!! You are very lucky to be the recipient of these beautiful creations.